As we reach the tail end of the chilly season, we tend to get nostalgic for all the winter foods we wont be able to justify eating at our fave Brisbane restaurants when it's hot out. Hot chocolates, soup, potato bake, and, the most warm and comforting of all desserts, pudding. A good pud' takes the edge off a chilly night like nothing else, and whether it's bread and butter, sticky date, gooey centred chocolate, or lemon delicious, we want it, all the time, and preferably right now. So you can get your pudding hit before Brisbane's winter menus get the boot, we've tracked down the best puddings in Brisbane. Tuck in! An oldie but a goodie, the chocolate pudding never goes out of style (particularly if it's the self-saucing kind). Harveys' soft chocolate pudding with spice roasted pear, caramel ice cream, and crème fraiche is a Brisbane dessert icon and we want it in our mouths. Mondo Organics' dandelion chocolate pudding with macha green tea ice cream, pistachio, and ginger cream may be organic, but it's as moreish as the best of them. One of the best puddings in Brisbane, no doubt about it. Hatch & Co. do a decadent dark chocolate fondant, with a salted caramel macaron, popcorn, mandarin gel, and mascarpone. The chocolate fondant at Cowch is a simple, self-saucing, soft-centred chocolate pud', served with your choice of frozen yoghurt or ice cream. No list of Brisbane's best puddings would be complete without the peanut butter chocolate fondant pudding from The Alliance Hotel, topped with salted caramel ice cream and a fudge sandwich. This ye olde take on puddin' has had a resurgence of late. 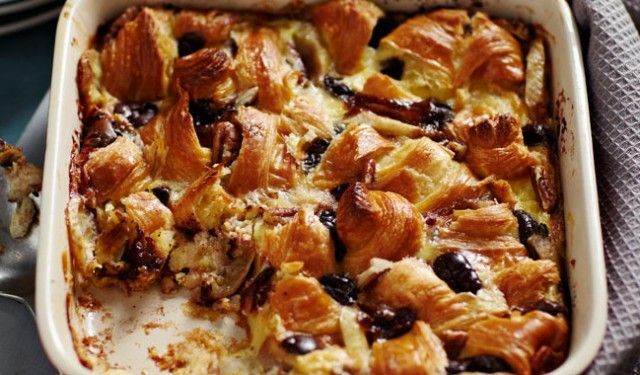 Whether it's a classic slice of white bread and sultanas or—our favourite—the croissant bread and butter pudding, this saturated bread stack should be all kinds of gross, but somehow, it works. Teneriffe's, Beccofino do a gingerbread pudding with caramel ice cream that's so good it's almost tempting to go easy on the pizza so there's room for dessert. Almost. New Farm's Balfour Kitchen do everything right, so it's no surprise their Valrhona chocolate croissant pudding, with dark chocolate anglaise, and vanilla-bean ice cream is a winner. Pudding, for breakfast? Trust the crafty dudes at Gerard's to come up with a decadent pudding that's acceptable to down at breakfast time. Their milk and almond pudding with pistachio halva, pomegranate, and rose is a gentle, Middle Eastern take on the humble pud', and we can't get enough. Ah, the classic sticky date. Drizzled with caramel, dolloped with cream, devoured in seconds, it's hard to pass up when spied on a Brisbane dessert menu. Paddington Italian fave, Il Posto does a wicked and warm sticky fig pudding with caramel sauce. Fancy a pudding after a cocktail or two? 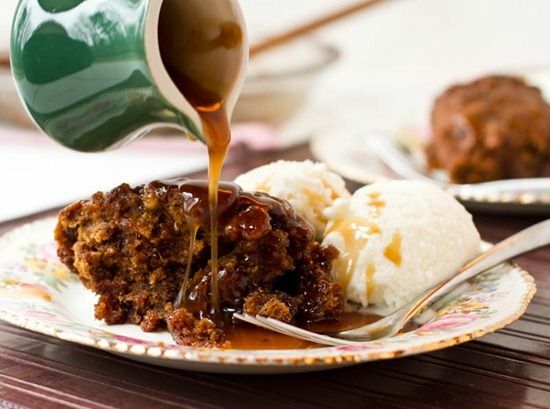 Alfred & Constance do a sticky date pudding with caramel sauce that's perfect with an espresso martini. Bucci's Budino Ubriaco Della Nonna is a dense, sticky pudding, heavy with 'drunken' fruit (is there a better kind? ), and topped with vanilla ice cream. Eating out is great, but sometimes you want to enjoy a pudding in the comfort of your own home (and in the comfort of your own elasticised pants), away from judging eyes. Pammy knows her way around a mixing bowl, and her selection of made-to-order puddings are some of the best in Brisbane. Lemon delicious, bread and butter, sticky date—they're all here. The magicians at this Woolloongabba bakery often feature delicious puddings and crumbles on The Baker's Arms ever-changing menu. The best bit? Their treats are largely gluten-free, sometimes vegan, and can be bought and carried home to devour on the couch. Click here for more of Brisbane's best dessert!